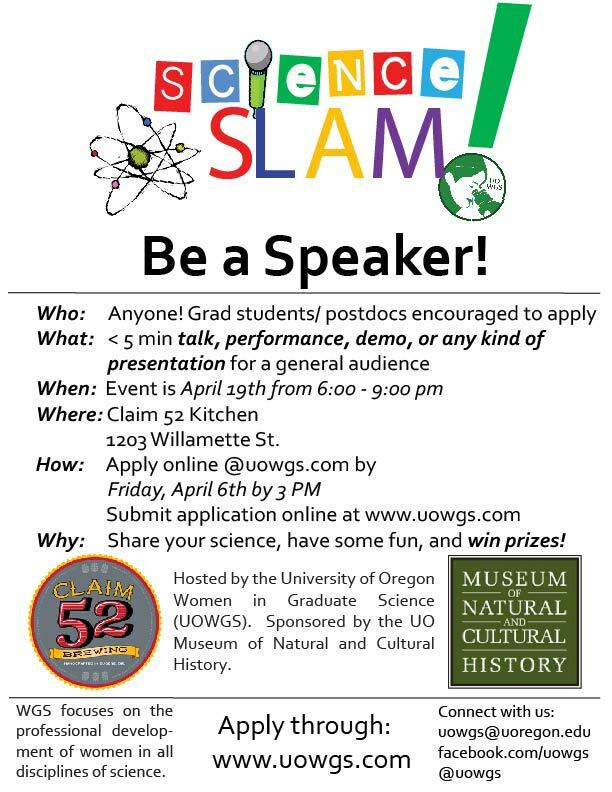 Come join the UO Women in Graduate Sciences for a Sciene Slam on Thursday April 19 from 6 – 9 pm! 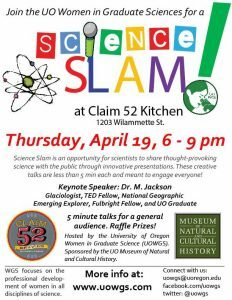 Science Slam is an opportunity for scientists to share thought-provoking science with the public through innovative presentations. These creative talks are less than 5 min each and meant to engage everyone! Click here to apply to be a speaker at the 2018 Science Slam!